Our upbringing and experiences influence how we see the world, our mindset and how we behave. We each interpret things in a different way. When someone challenges our perspective we easily become defensive and argue for why our view is correct. These days we are seeing polarization not just politically but in organizations where there are tensions between various offices and between management and the field and between functions and other dimensions. Are our differences fully a function of our conditioning? John Hibbing, a researcher and political scientist at the University of Nebraska-Lincoln suggests that the partisan divide in the U.S. might arise not just from our upbringing and background but from our biology. His research suggests that liberals and conservatives have different temperaments. For example, conservatives tend to be tidy and have more things such as sports memorabilia in their homes while liberals tend to have more experiential things like books and diverse CDs. Hibbing suggests that liberals and conservatives differ in how they see threats and dangers. If someone sees the world as more threatening, they may support self-protection, spending more on defense and managing immigration. Liberals may not perceive the same level of threat and are more opposed to such measures. What if we could recall that there are multiple realities and people are always seeing the world differently? Could we then focus on how to find common ground and work together for the benefit of all rather than devoting our energy to fighting each other and working to prove our way is correct? 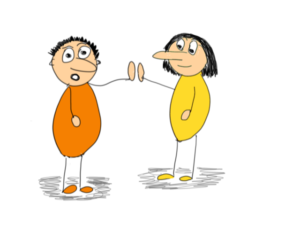 A client who is an extravert found herself irritated with her introverted colleague and argued that he should be more direct and that her way was the “right way.” However, after accepting their unique temperaments, they were able to recognize each other’s needs and come to agreement on how to communicate and create a positive environment. I envision a time when we notice our differences, give ourselves and others empathy and then shift to being open minded. 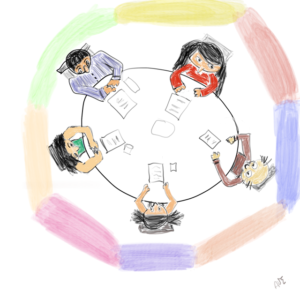 We could then engage in creative conversations to find solutions that honor our differences and create a better world. It won’t be easy and we will have to catch our judgment. However, we have a lot to achieve together. 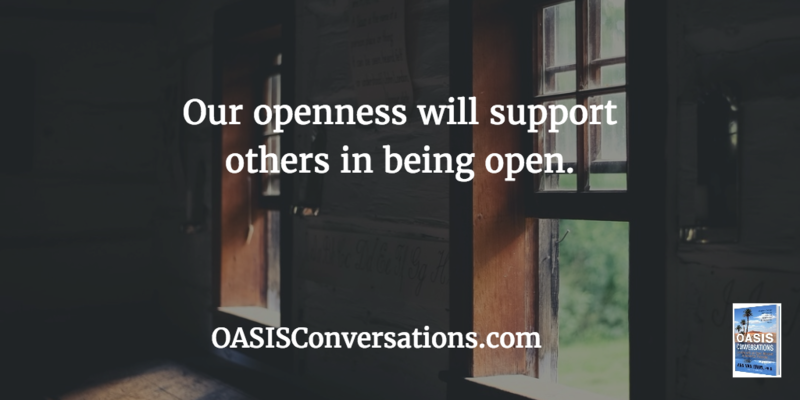 Take a step to appreciate our multiple realities and speak to someone with a different view. What do you have in common and where is there common ground to listen to one another and create joint solutions? “I am looking for another position.” A client told me that he planned to transfer or leave his job. I was surprised since he had seemed to be enjoying his work and his recent presentation to his company was positively received. He was hurt and disappointed that his team members had not attended his company presentation. While some had wished him well and even said they looked forward to his presentation, they were not in the auditorium. My client assumed that his colleagues did not, in fact, support him. He was sad, hurt and felt disrespected. He wanted to leave as soon as possible. He was aware of the OASIS Conversation process and after a few weeks of suffering, and some encouragement, he decided to have a conversation with a team member about the event. After all, he had little to lose since he would be leaving anyway. He began, “I was surprised that most of the team did not show up for my presentation. I assume people are not comfortable with my leadership and I am disappointed.” His colleague was dumbfounded. In fact, the opposite was the case. On the day of my client’s presentation, there had been a bit of a crisis with their program, and all of his team had banded together to address it. They had not told their leader since they knew of his big presentation in front of the company and they did not want to disturb him. His colleagues had stayed behind and handled the issue. They listened to his talk virtually or viewed the video. No one thought to tell my client about the crisis since it had been diverted. My client’s assumption that his team did not support him was absolutely wrong. He suffered for weeks and almost left his position. He was grateful that he had risked the conversation. Notice your assumptions. What conversation can you risk engaging in? How Do You Respond to the Election?